You’ve gotta love the internet. 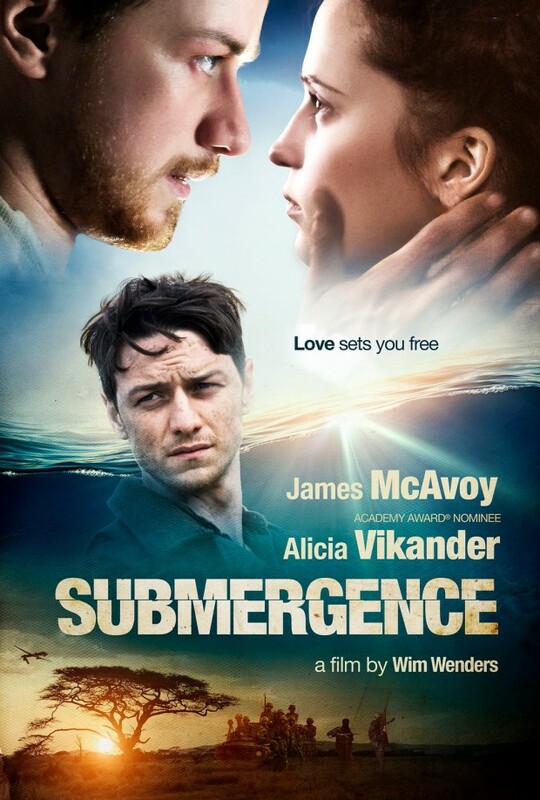 Yesterday I said I wish there was a trailer for Submergence starring James McAvoy & Alicia Vikander. Today I was tweeted a short clip from the movie by the creators of a Submergence fan page! 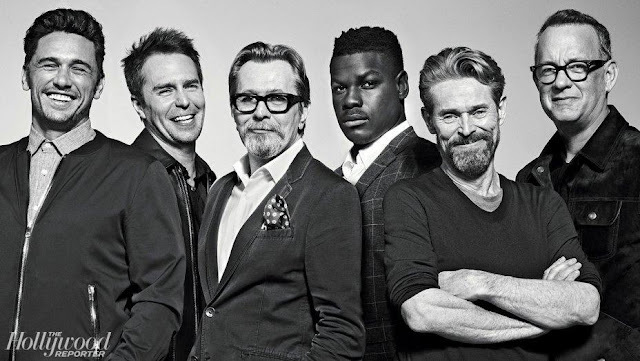 They created the page after seeing the movie for themselves at the San Sebastian Film Festival this September in Spain. Thanks for sharing @submergencefan! The clip is a tiny teasing look at a moment from this wide-ranging film. I’m so intrigued! Apparently it’s a love story entangled up in a bundle of ideas. Based on J.M. Ledgard novel, these ideas, according to the Guardian, are messily handled. 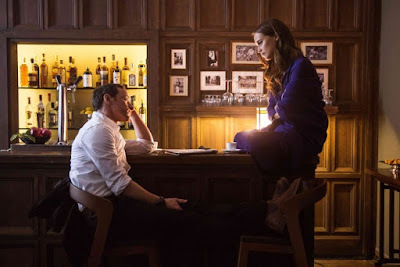 "Submergence feels like a clumsy melange, a confused adaptation made by people who don’t seem quite sure exactly what they have on their hands’ ... Alicia Vikander and James McAvoy." There’s a lot going on in Wim Wenders’s latest, and arguably most accessible, film, Submergence. It’s a love story, it’s a spy thriller, it’s an underwater adventure, it’s about terrorism, it’s about climate change, it’s about being ghosted by text (!). 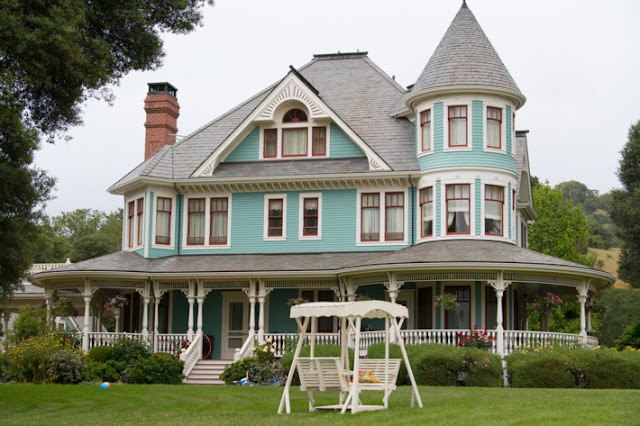 But ultimately – sadly, predictably – it’s also a bit of a mess." Which may be why we haven’t seen a trailer! I took a look online, hoping to find more positive reviews but time and again I came up with negative viewpoints. ‘Wenders has never let go of the languid reflective pacing, the morosely droopy scenes that dither and digress, the long-and-winding structure that theoretically holds a movie together but is too abstract to lend it a real shape. ‘Choked by overwrought trappings and suffocated by an unforgiving narrative structure, Wim Wenders’ “Submergence” is only bolstered by a pair of sterling performances from stars Alicia Vikander and James McAvoy, both of whom somehow rise above the lackluster film they’re sunk into. Based on J.M. Ledgard’s novel of the same name and adapted by screenwriter Erin Dignam (who previously penned Sean Penn’s much-maligned “The Last Face”), the film revels in playing up hinky parallels that rarely coalesce into anything of much substance. It sinks. Then I found this from the Hollywood Reporter. Light at the end of the dark tunnel! More thematically restrained than some of Wenders' grander films, this one is only about love, the origins of life, the increasing scarcity of natural resources and the conflict between the West and radical Islamist terrorism. But where he has occasionally had a weakness for clunky allegory or let his narratives' themes spin out of control (as in the thought-provoking but hydra-like Until the End of the World), this one, with Erin Dignam's script adapting a novel by J.M. Ledgard, finds natural places for its concerns. Its intelligent pairing of real-world crises with heartache calls to mind Fernando Meirelles' adaptation of John le Carré's The Constant Gardener, though this film lacks that one's involving mystery. 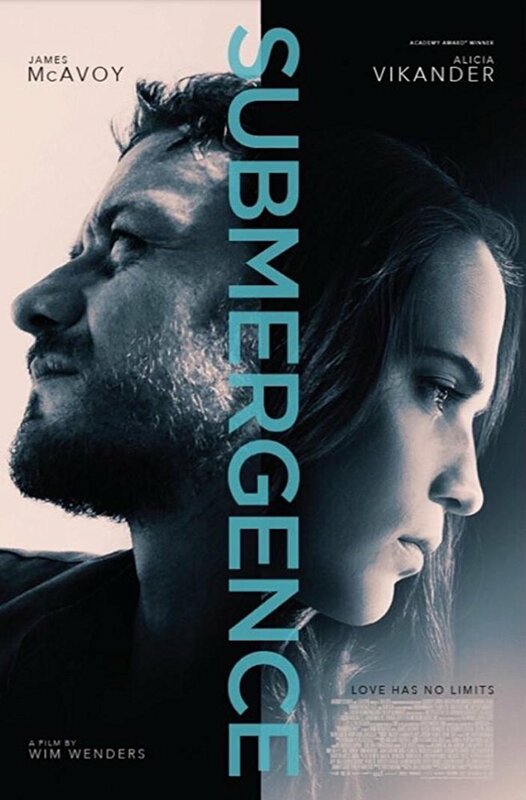 As we learned yesterday, Samuel Goldwyn Mayer has picked up the distributor rights so we will be seeing Submergence here in the states. Will there be re-editing or will the legendary Wim Wender’s work stand as is? For those of us who are fans of McAvoy, Vikander or both, surely this is a welcome addition to their canon. Let’s take a look at what director Wenders and James McAvoy had to say about the film at TIFF. You can also follow the Submergence fan page on Facebook, where they take the critics’ attacks and share their counterpoint, one by one. This is definitely a film I want to see for myself. Fingers crossed, we’ll get the chance early in 2018. Anybody out there a fan of the book and/or movie already?